The EU project IP4Plasma reached its finish line in the beginning of 2017 after three years of research and development. In the project, plasma equipment manufacturers and end-users worked with leading experts in research and technology innovation to bring cutting-edge IPR-protected innovations from the laboratory scale to industrial implementation for advanced surface treatment of materials. The project results are remarkable and include an advanced tuberculosis test, the development of a HIV detection test. new types of wound dressings with antibacterial properties and an improved sealing method for medical packaging. Spinverse coordinated the project, its EU FP7 funding proposal as well as the development of the commercialisation strategy of the technology produced in the project. The consortium in the IP4Plasma project consisted of nine companies from five European countries. 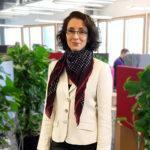 “The IP4Plasma project was an important achievement for Spinverse, as it was the first project funded by the FP7 that was coordinated by a Finnish SME”, comments Pirjo Pasanen, Principal Consultant at Spinverse and the project coordinator of IP4Plasma. Tuberculosis (TB) has become a global disease and is very common in resource poor, high burden countries of Asia, Africa and Eastern Europe. TB affects over 9 million people a year, and it kills 1.7 million people every year even though there is a cure for the disease. About 5% of the infected individuals develop TB, the majority being children. The development for the rapid tuberculosis tests were carried out by Lionex GmbH and Fraunhofer IST. The new quantitative test is based on plasma treatment methods. The sensitivity of the plasma coated tests is at least ten times more sensitive than the currently used standard lateral flow tests . As part of the project, LIONEX and Fraunhofer IST also developed a HIV detection test. The results show that using the antibodies developed in the project, detection of HIV is possible. The cheaper and faster diagnostics tests developed for TB and HIV will enable screening of larger populations with the same amount of resources, leading to broader and earlier detection of patients which can subsequently receive medical treatment. Furthermore, a new mobile plasma treatment system was designed. The treatment system has improved reliability, maintainability and reduced operational costs, making the system better suited for industrial production. The system was used in the industrial demonstration of a wound dressing manufacturing line. The tests in the demonstration showed that the wound dressing had the ability to prevent the growth of certain bacteria and fungus and the treatments were stable over time. The IP4Plasma project took major steps forward in the development of atmospheric pressure plasma technology – a technology previously used only in research, but now can be used in industrial environments. Moreover, the project brought new knowledge, contacts, potential for cooperation as well as business opportunities for all partners. The project significantly contributed to the establishment of two start-ups as well as two spin-offs utilizing the project results. “The project is estimated to have an impact on business growth as well as further privately and publicly funded projects for the partners. Especially the adhesion improvements of materials sensitive to high energy plasma could open up new research and business opportunities. Based on the market studies, there is a great market potential for all chosen applications. Especially the potential impact of the LIONEX’s rapid TB-tests are huge.”, says Pirjo Pasanen.